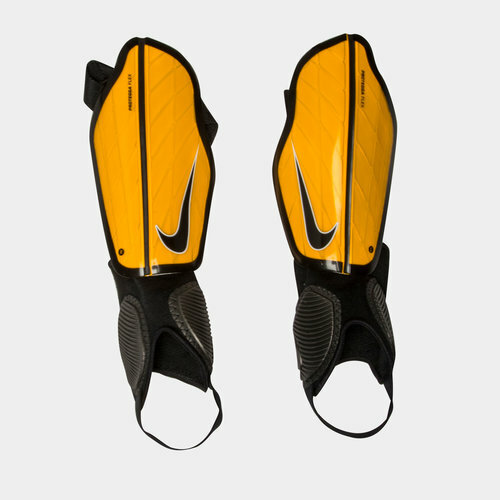 Flexible and durable protection for your shins and ankles, take to the pitch in these Protegga Flex Shin Guards in a Laser Orange and Black colourway by Nike. Unlike your typical shin guard, the Protegga has been designed with a hinged shell to create a new level of protection with optimum fit. Of course you need them to stay securely in place and so an elasticated velcro strapping system wraps around the calf. It's all very well taking care of your shins but your ankles also need looking after and so easily detachable angle guards bring added protection along with heel comfort. 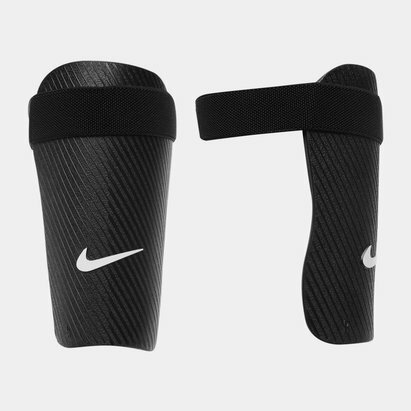 It's your choice but these shin guards give you the confidence to commit to every tackle.